Just the one race today. I quite enjoy quiet days. 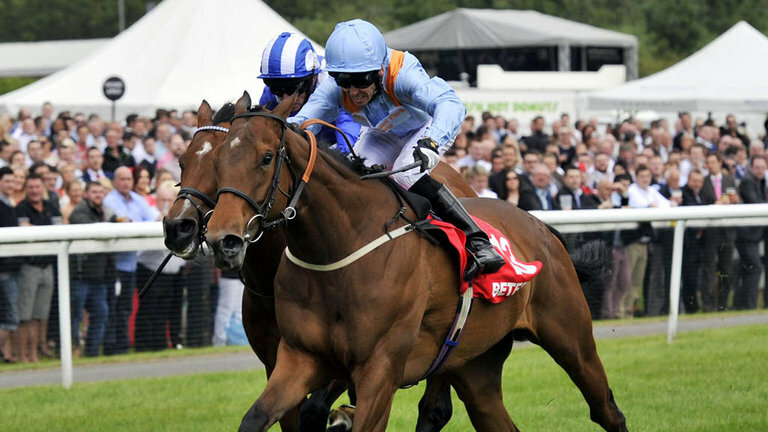 A Fillies' Novice Auction Stakes over 6f on Standard to slow going. Eleven juveniles take part in this restricted race (for horses costing £33,000 or less for yearlings bought at public sale). These races are often a very good betting medium because most punters forget their restrictive nature especially telling when a form horse against a few debutantes. Let's see which horse has a significant entry. Just the sole candidate being Richard Hannon's Wedding Date. A good yearling purchase at £27,000. This Irish-bred daughter of Dandy Man has raced seven times. She ran well on debut behind a talent in James Watt. Then at Chester, ran out an easy winner by three lengths. The next four starts saw her run at a higher class. In those races, bar one contest, this bay filly ran well in defeat. Last time out, dropping back to five furlongs, she was relatively unfancied in the betting. At points on the exchange, touch huge odds. Started 8/1. I was impressed with her effort in that race. A very professional display. I'm sure most punters were put off by the win penalty. Wedding Date was unlucky to get caught in the last few strides. The winner, Leodis Dream, is a fair horse and a head defeat was nothing to be fair (unless you bet, of course). Clifford Lee takes the ride and gets a handy three pound off her back. Interesting that Wedding Date is stepping back up to six furlong. I'd prefer her to stay at five but I imagine connections are going here rather than wait for another opportunity. A wide draw is a negative, but this shouldn't be too much of a problem. If touching each-way prices, is a decent bet. Note: I quite liked this filly. Crazy betting on the exchanges sees her drift to 10 before being backed down. Some of these layers must have money to burn. Nice performance.